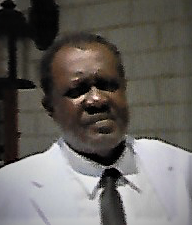 Mr. Sylvester Lewis, Jr., son of Mr. Sylvester Lewis, Sr. and Mrs. Lucille Hadden Lewis, was born in Georgia on June 2, 1941. He was most recently a resident of Miami, Dade County, Florida. On Saturday, January 13, 2018, Sylvester, Jr. entered into eternal rest at North Shore Medical Center in Miami.